Kounis Group offers on site switchboard audits, maintenance and switchboard installation services to allow our clients the opportunity minimise as much as practicable exposure to unplanned outages. Our specifically trained technicians are available to attend remote and local sites to evaluate switchboard condition and compliance with current Australian standards. 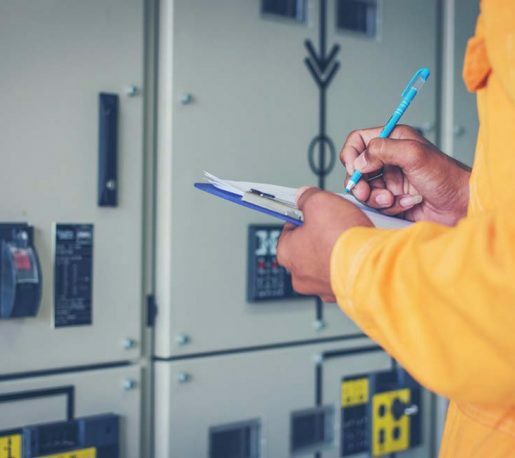 These services have proven to be invaluable to those clients that have engaged Kounis Group to undertake audits and can be used to satisfy the requirements of AS 2467 – Maintenance of Electrical Switchgear. As a result of an audit, recommendations are put forward within a comprehensive report detailing a scope of improvements aimed at enhancing the safety and operational life of the audited board. Improvements and modifications can be either engaging Kounis Group to complete them or be incorporated within the ongoing maintenance regime of operations for the site. In conjunction with switchboard audits Kounis Group also offer clients our services to modify switchboards on site, accommodating switchboard extensions and / or upgrades. Should a switchboard be deemed to require replacement by our clients then a replacement board can be priced, designed, built and installed on site within the parameters of the existing board. This design criteria derived from site measurements ensures as much as possible that the change out timeframe is kept to a minimum and reduces the effect of utilising existing cable runs though accommodating original cable positions and termination points. Copyright © 2019 Kounis Metal Industries.